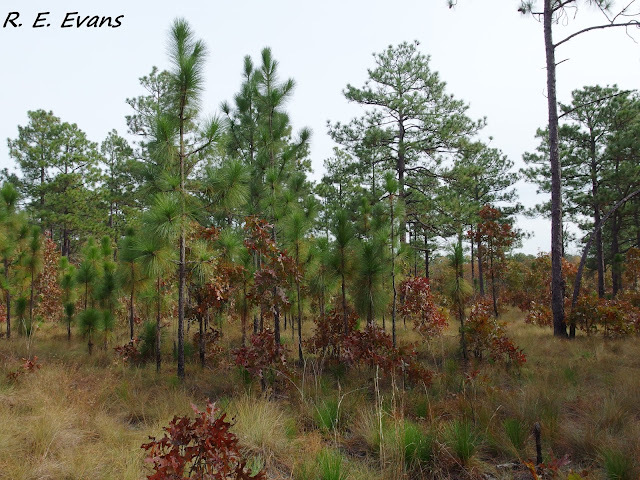 The "sandhills region" of North Carolina supports some of the most extensive stands of longleaf pine remaining in the state. 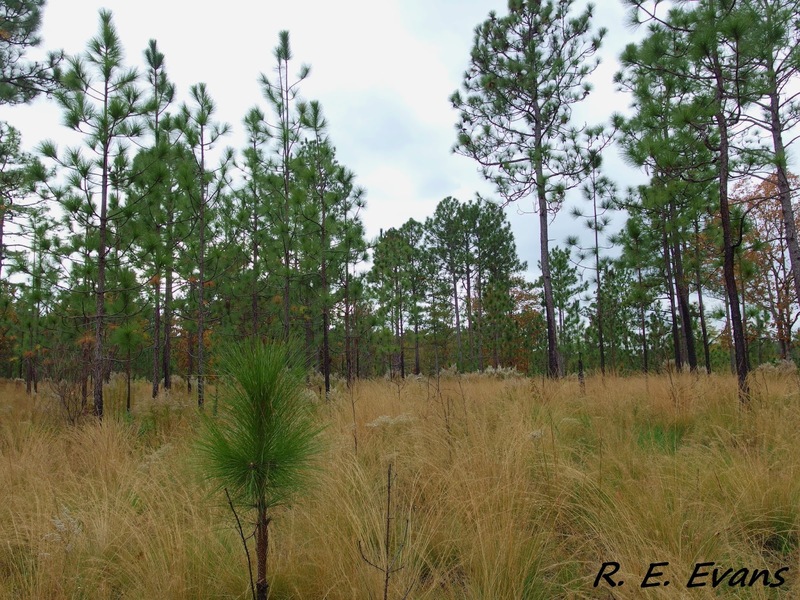 The preponderance of deep sandy soils not only gives the region its name, but helps explain why so much longleaf pine remains here given the even more substantial declines elsewhere in the state. The coarse, droughty sands are less conducive to most types of agriculture and, when forested, are not as easily overrun by other vegetation. However, even when longleaf pine is present, regular burning is needed to maintain high quality stands. 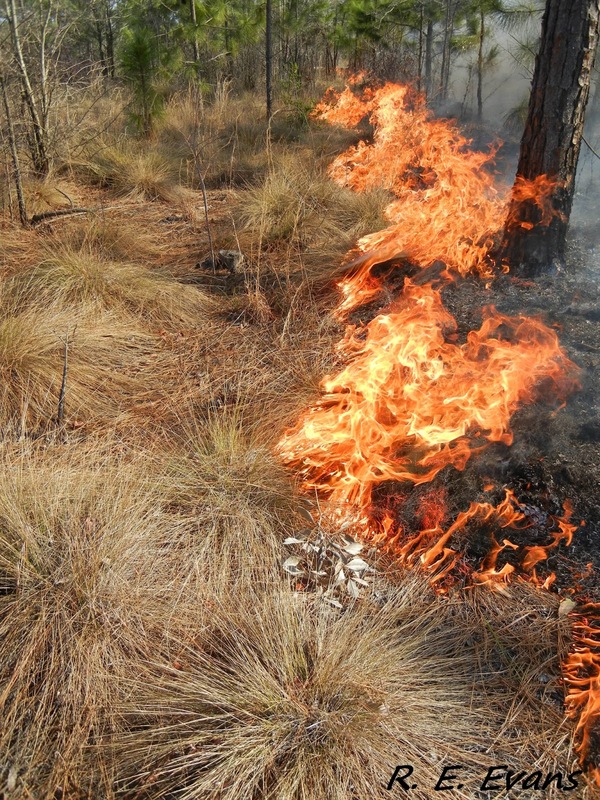 Thankfully, certain land managers and owners are committed to the use of prescribed burning. They have maintained the best upland longleaf in the region through frequent and regular burning. These stands have open canopies, with minimal hardwoods, above dense swards of wiregrass (Aristida stricta). 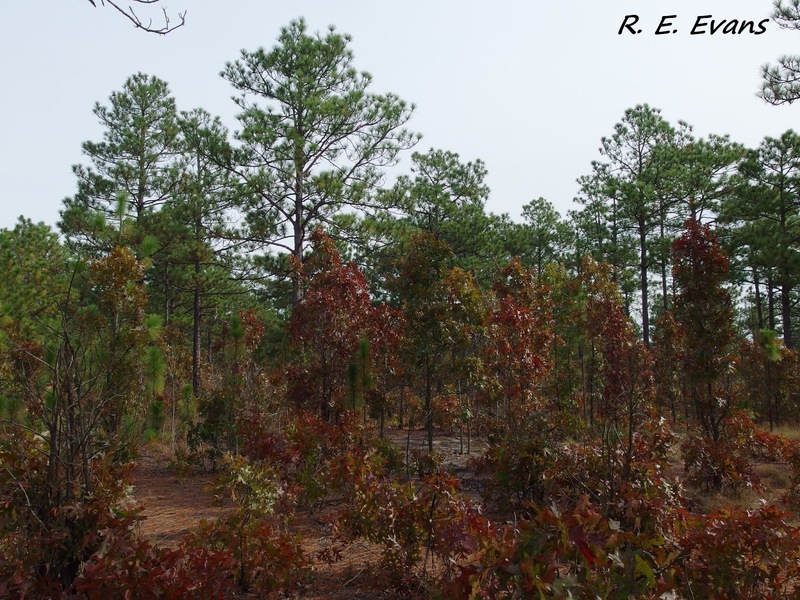 The vast majority of remaining stands are heavily altered due, in part to insufficient burning. 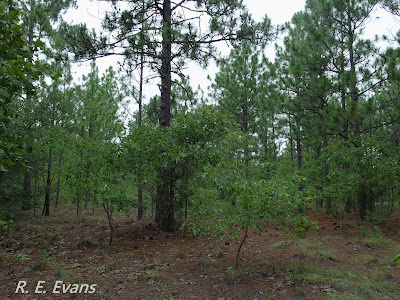 On dry, sandy uplands these stands may become densely invaded by hardwoods like turkey oak (Quercus laevis), and wiregrass is sparse and barely evident. Such stands carry fire less readily and larger hardwoods become fire resistant and harder to control. 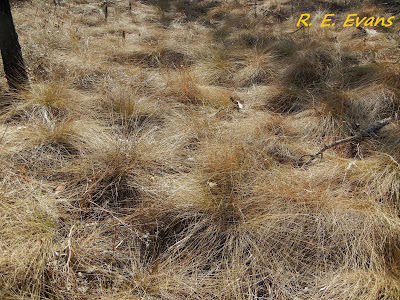 Less severely fire suppressed stands retain patches of wiregrass and other herbaceous species. 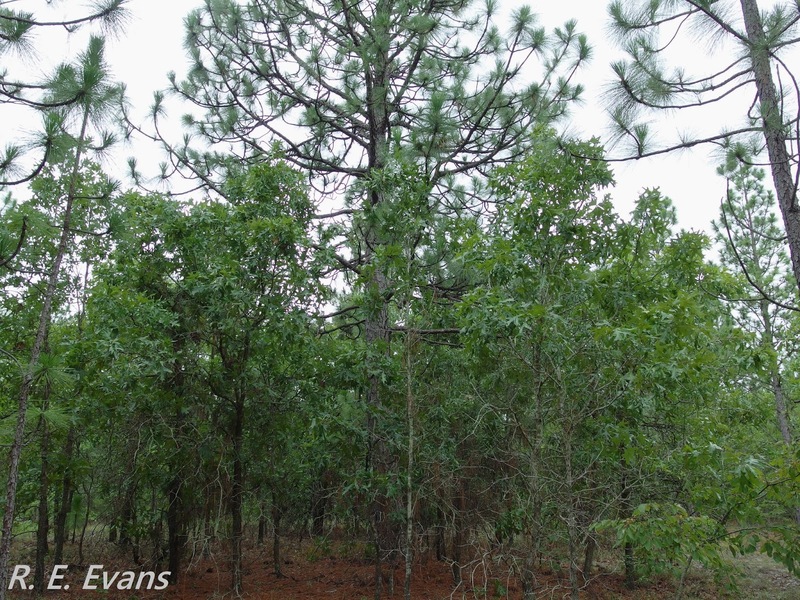 Hardwoods are less dominant, patchier, and often smaller. These smaller hardwood stems contribute less shade and litter, thus having less impact on fire dynamics and understory composition. Wiregrass is a keystone species with a huge ecological impact. It flowers and seeds in the same season, primarily after being burned in the spring or summer, with upright flowering stalks emerging with the characteristic "three-awn" seeds. This happens only rarely in most stands where finds are either excluded or conducted only in the "dormant" season. 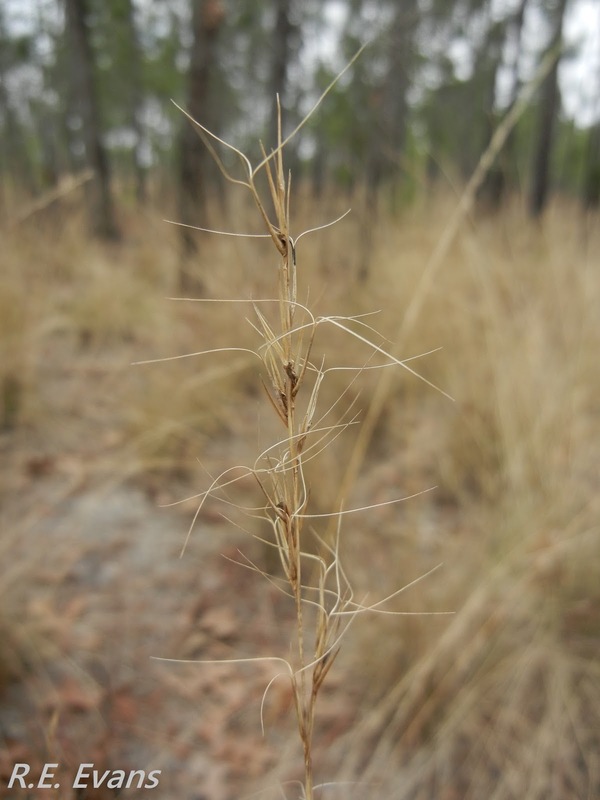 Wiregrass is a clump-forming bunchgrass whose narrow densely packed culms dry rapidly and carry fire even shortly after rain. 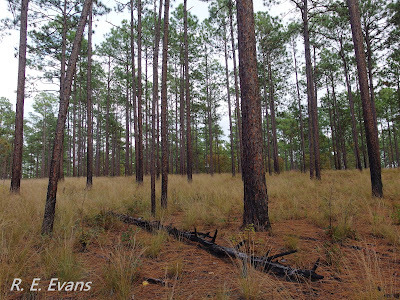 In most relatively intact stands, wiregrass forms nearly continuous, dense ground cover. This density and continuity enhances the spread of low intensity fire which ultimately limits the establishment of woody stems. 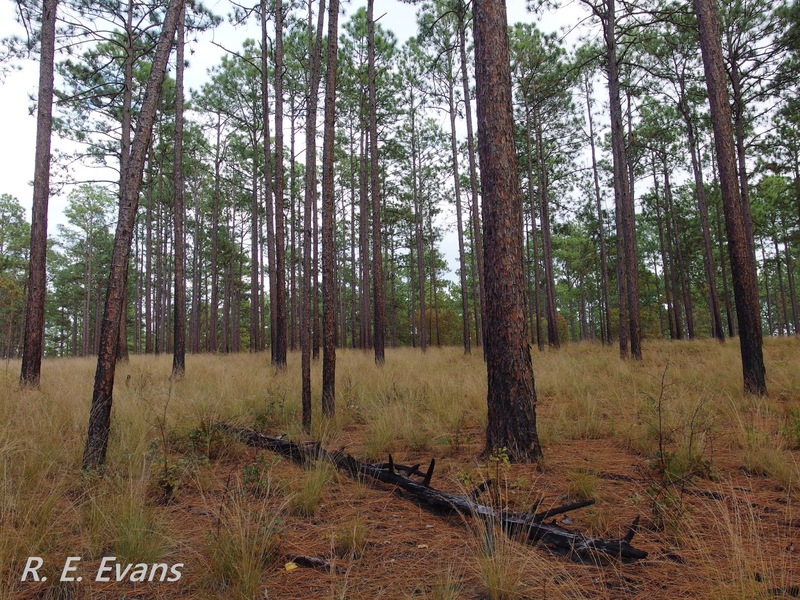 Although we may imagine it take considerable time to convert an open, savanna-like stand to a dense, closed forest the changes occur surprisingly rapidly. including growing season. Turkey Oak layer "burnt out"